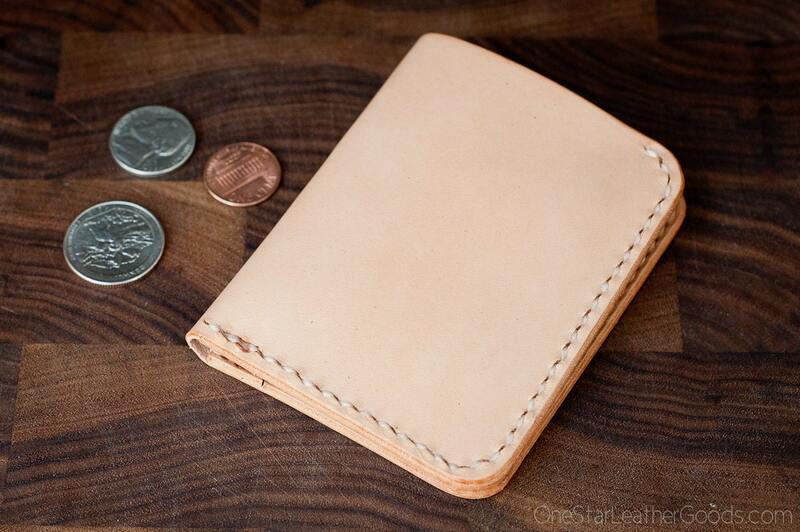 A compact, minimal wallet for folded bills and cards in natural veg tanned leather. 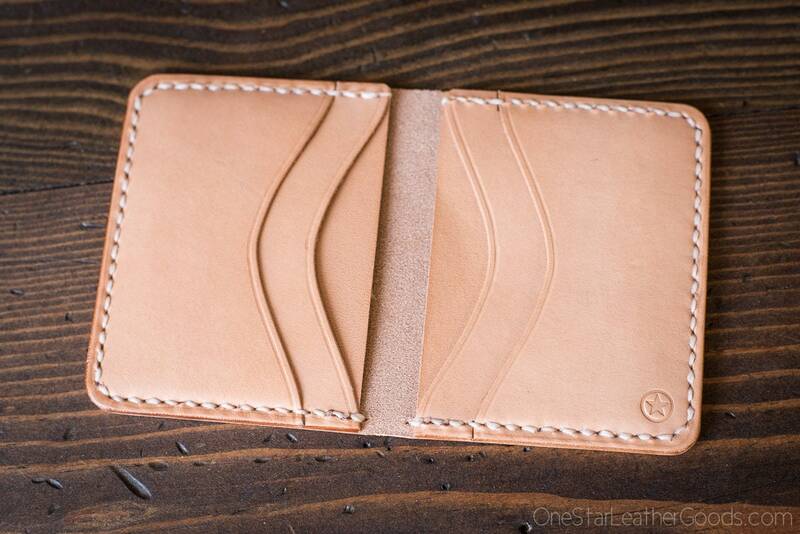 Great in a front or back pocket. 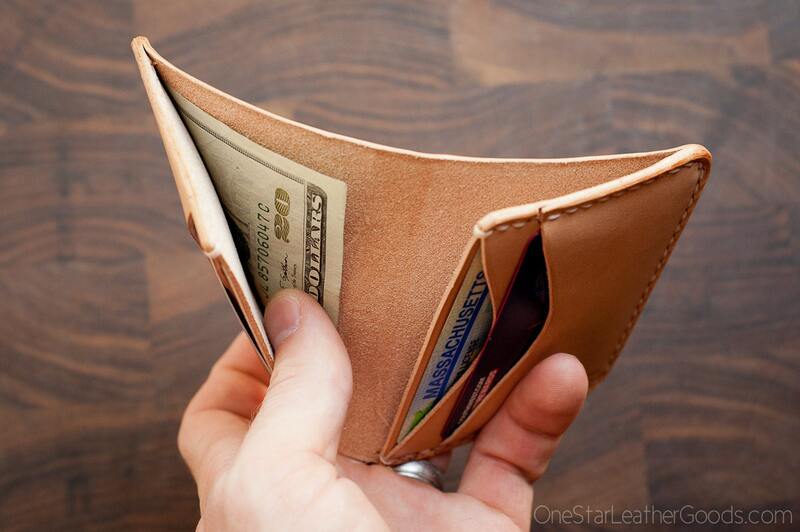 Lovely wallet and hassle-free to order internationally! 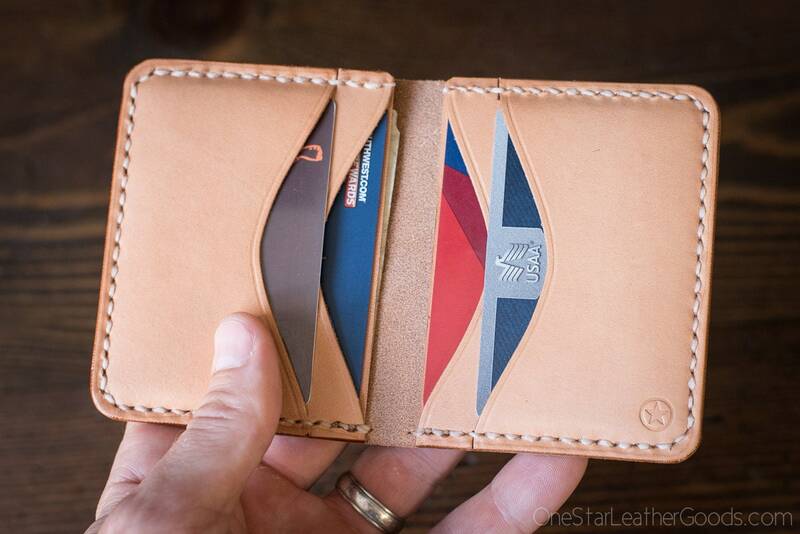 This wallet has very sturdy yet sleek construction, and the expedited shipping was much appreciated! 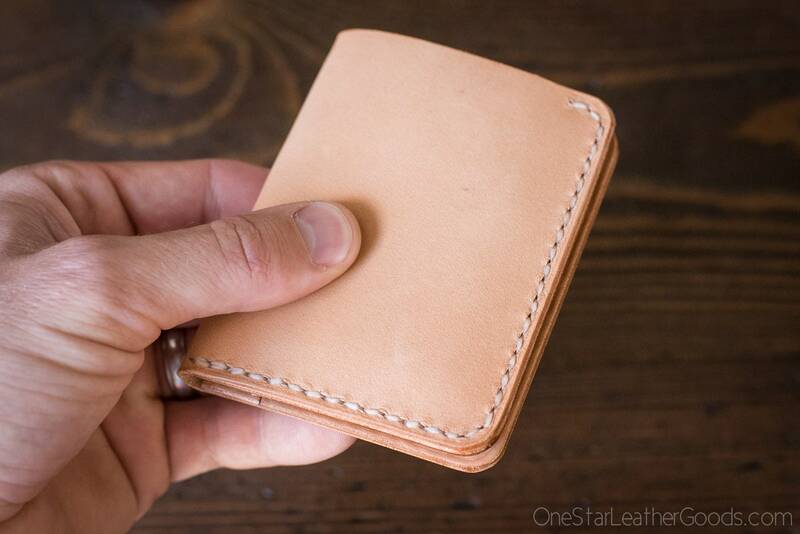 I graduated from a two pocket wallet to this 6 pocket horizontal and I am absolutely in love. Still very thin and of course well made. 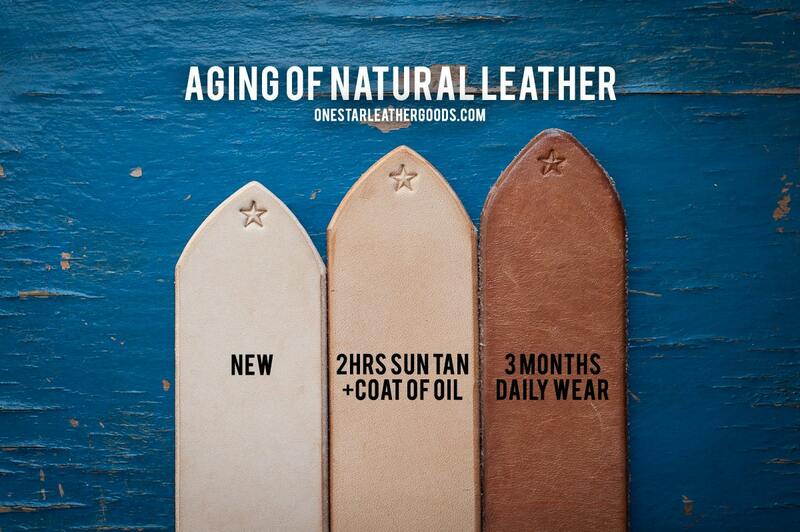 The natural leather is aging wonderfully and I can't wait to continue using this wallet for some time.